Payal Pratap Singhai??i? ?s affinity for Indian textiles is no secret. 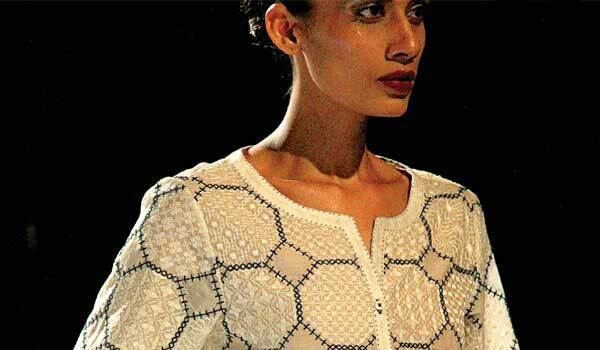 The designer, who launched her label back in 2010, enjoys experimenting with craft-based fabrics that range from khadi and Chanderi silk to linen. For her latest capsule collection, she returns to one of her most loved weaves, ikat, to present a line-up of anti-fit kurtas, dresses, tunics and tops. ai?? ?This collection is an extension of what I normally do. The inspiration is the fabric itself,ai??? she tells us. Describing the line as one that can easily transition from winter to summer, the designer shares that itai??i? ?s largely toned down in terms of colour ai??i?? a departure from her signature style that often mixes vibrant hues and unusual prints. ai?? ?The palette here is muted. Earthy shades like burgundy, rust, brick red and brown dominate, with pops of dusty pink and indigo,ai??? reveals Payal. While the colours are atypical for Payal, the designer has stayed true to one key element in her design language by including geometric thread-embroidery details, apart from beading work and tassels to lend a Bohemian vibe. ai???Itai??i? ?s non-fussy and fun at the same time. The geometric embroidery sets it apart. The pieces are very wearable and can be as easily worn for the day as for the night,ai??? she explains. Dresses can double up as kurtas, and tops come with drop-shoulders, loose sleeves and peasant patterns. Payal is currently working on an evening wear line that has a more pronounced Indian tilt. ai???Thatai??i? ?s something I havenai??i? ?t done too much of so Iai??i? ?m excited to see how it is received,ai??? she tells us, adding, ai?? ?In our country, we have a rich heritage of fabrics. The possibilities are endless. So I feel the need to do justice to it.ai?? ?